Description: Graphic 45 Collection Christmas Magic Stickers- Over 65 stickers, designs include photo corners, frames, buttons, postage stamps, tickets, children playing, children decorating, children dressed as Santa, and captions best wishes, magical, and more. Largest measures approximately 4.5"x 2". 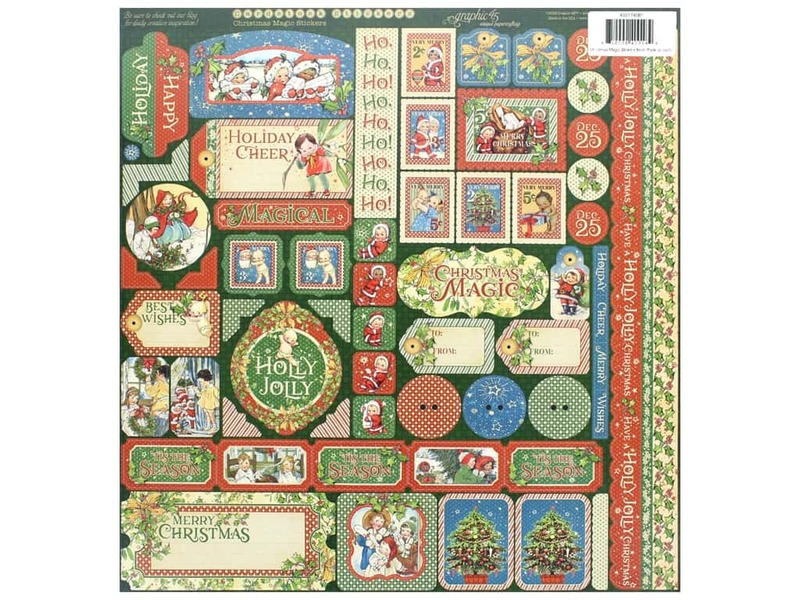 See more Graphic 45 Christmas Magic Collection.